During the 2017 Syracuse Chiefs season, I had the opportunity to photograph the Chiefs and one of their players, Rafael Bautista. Rafael was awesome and he had a great season with the Chiefs. One day, he called me and lets me know that he was about to go to the mall to buy a suit in case he got the call. I picked up my camera to document the moment. Seven days later, he makes his debut for the Washington Nationals. Rafael Bautista warms up in the on deck circle as he awaits his second at bat of the season against the Rochester RedWings on April 8th, 2017. Before getting called-up to the Washington Nationals on April 29th, 2017, Bautista led the Syracuse Chiefs in batting average (.291), hits (23), runs (14), and stolen bases (3). Rafael Bautista signs a fan's card during a team signing event after the game on April 8th, 2017. The baseball card features Bautista during his time with the National's double-A affiliate, the Harrisburg Senators. Rafael Bautista catches a fly ball during the Syracuse Chiefs game against the Norfolk Tides on April 23rd, 2017. “He’s an outstanding outfielder, runs exceptionally well, has a good throwing arm and he pays attention, that’s what I like most about him, is that he pays attention,” said Dusty Baker, the manager for the Washington Nationals after Bautista was promoted to the majors. Young fans wait for Syracuse Chiefs players to come sign memorabilia ranging from old jerseys to baseball cards, before the Chiefs game against the Rochester Red Wings on April 9th, 2017. Rafael Bautista steals a base during a Chiefs game against the Rochester Red Wings at Rochester on April 16th, 2017. Bautista is known for his speed. Before getting called up to the Nationals, he led the Chiefs with 3 stolen bases. Last year in Double A with the Harrisburg Senators, he led all of minor league baseball with 56 stolen bases, with a 84% success rate. 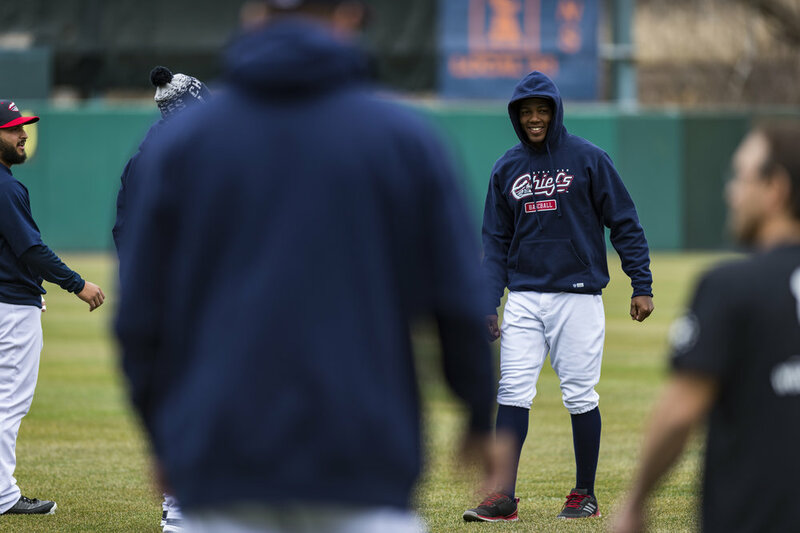 Several Syracuse Chiefs players joke around during practice a day before what was supposed to be the first game of the season in April 5th, 2017. The game was postponed the next day due to inclement weather. 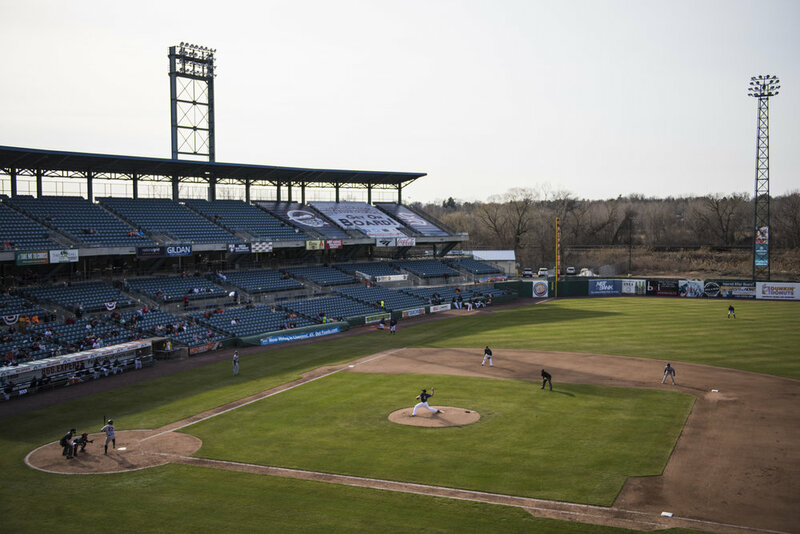 The Syracuse Chiefs play at NBT Bank Stadium in Syracuse, New York. Though the stadium's capacity is 11,071, the Chiefs averaged 4,157 fans per game. 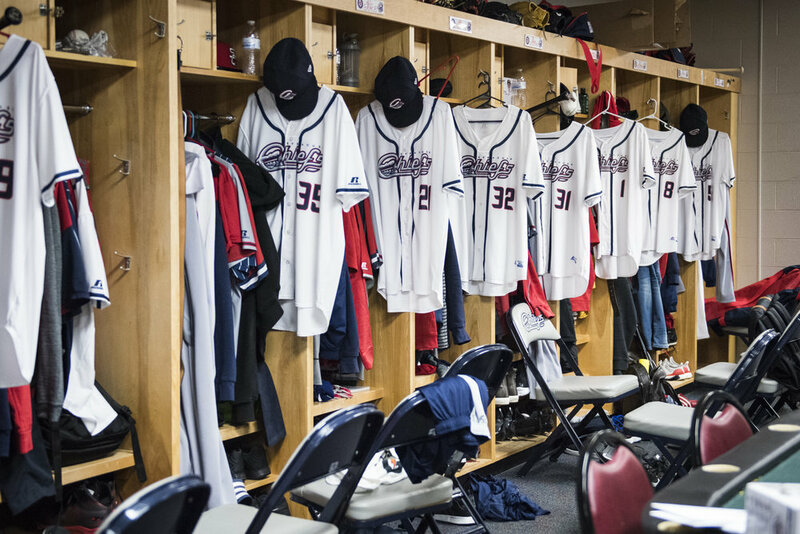 The Syracuse Chiefs locker room before a game against the Norfolk Tides on April 23rd, 2017. Rafael Bautista's number 8 jersey hangs in front of his locker. "I need to buy a suit in case I one day get called up to the majors," said Rafael Bautista during one of our conversations early in the season. On April 22nd, he along with the help of catcher Pedro Severino, went to the mall to purchase a suit jacket. Seven days later, on April 29th, he was called up.